Build directly in into chilled Highball Glass full with fresh ice. Stir gently and serve with a bamboo straw. Garnish with Physalis berry. Not every cocktail must be complicated or hard to make. Today I have another riff on fantastic Honey Cooler. Is a refreshing to drink, easy to make and taste fantastic. I use for my base @aviationgin in combination with the @monin_uk Lavender Syrup for a fresh spring taste. 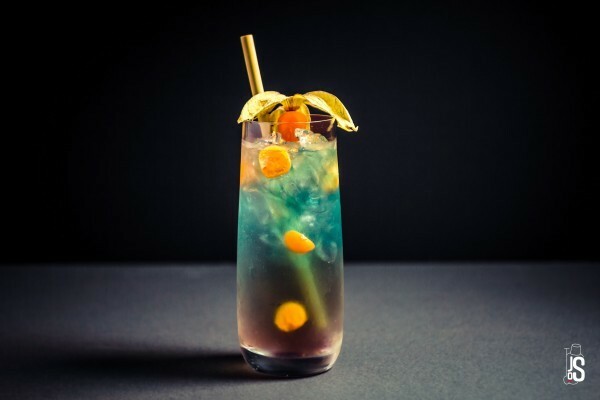 Add a little orange hint with Blue Curacao and natural sweetness with Acacia honey. Acacia honey is probably one of the best for use in a cocktail. If you have doubts, check the #cocktailcodex form @deathandcompany to find out more why is a better choice. Finally, a few drops Pernod @pernodricard for an anise touch and top with soda to keep all of the other flavours shout out and not get lost in the mix.